It doesn’t matter what type of political website you are looking for, WordPress will give you limitless options to create a political website. WordPress will give you endless political website templates where you can create and manage individual candidate page and information. Many of the WordPress themes will give you pre-loaded demos by which you can choose a suitable theme for yourself. 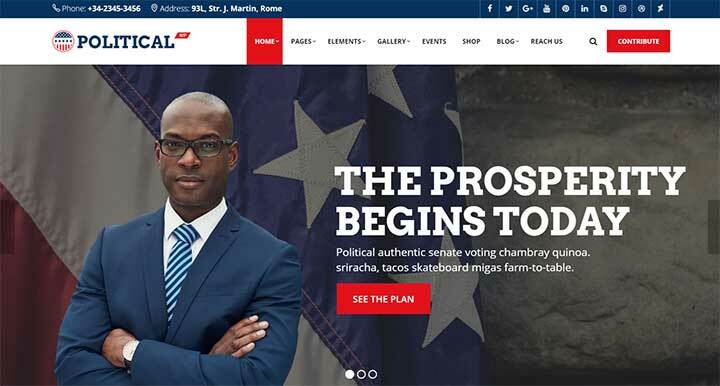 Today in this article, lets check about some best Political WordPress Themes that can use to boost your political campaign or any political event. 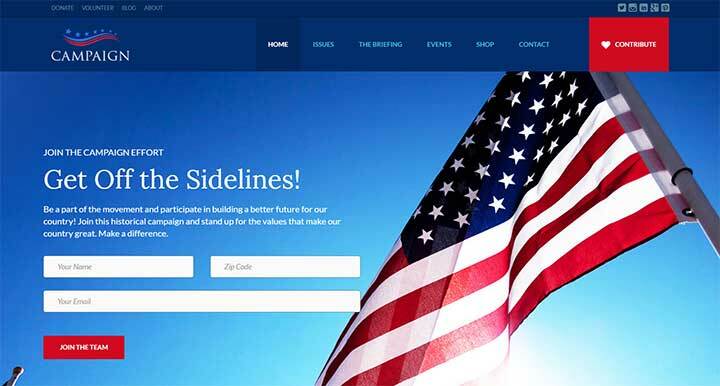 Are you looking for political WordPress theme? Stop searching and use PoliticalWP; this theme is a piece of art which is handcrafted for political-based websites. You will get different variants of the home page by which you can showcase your information very effectively. The PoliticalWP theme will give you different social media linking options. You will get different inner page options for blogs, supporters, events, and social issues. By using Multiple gallery feed option, you can display all your photos on Instagram, twitter, and facebook. This theme has a powerful admin panel by which editing and updating information becomes very easy. Rajneti WordPress theme has a unique, trendy, and modern design. With the contemporary layouts, you can create a website for the political organization, candidate, non-profit organization and many more. You will also get one click demo import option and professional design quality. You can choose from different layouts; you can design your custom logo for the website. Rajneti WordPress political theme is responsive and retina ready. You can show all the detail information about different members of your political party and election campaigns. Don’t worry if you are not aware of website development because by using Rajneti WordPress theme you can easily create and manage your political website. This WordPress theme can create any website. It is the most versatile and flexible WordPress theme in the market. 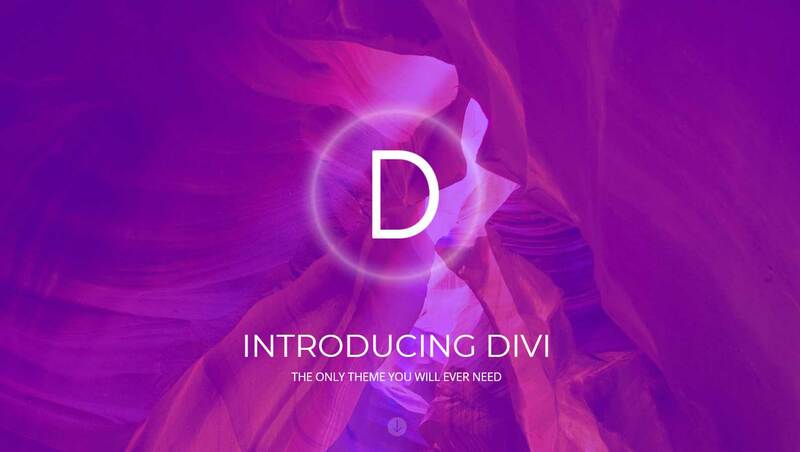 It will give an elegant and rich look to your website, the information which is displayed by using the Divi theme is so clear that the audience can’t take their eye off. You can display any content in any layout; all the layouts are responsive-ready. Apart from being versatile, this theme is straightforward to use. Different blogs layout gives a new look to the website. The Bridge WordPress theme is a completely responsive and multipurpose WordPress theme. If you are looking for a complete political website, then Bridge WordPress theme is the best choice. Bridge theme is not just a theme; it is the collection of tons of features. For an effective political representation, you need a powerful website. Bridge WordPress theme gives 24 layouts with innovative design; you will get full listing function and full news functionality. The front-end login function will give options to different users to get registered to your website. With the quick link functionality, you can make your all political news easily accessible. By using the left menu function of Bridge theme, you can create beautiful websites. This unique theme is not just for the political website; you can create a different niche of websites such as business & finance, online shops, blogs, cryptocurrencies, construction & real estate, gym & restaurants, law & beauty salons, hotels, churches, and non-profit organization. There are some reasons to use this theme for the political website like it is super fast and lightweight which gives high speed, it is prepared with page optimisation which will give you higher google ranking, your political website becomes completely responsive, and it will give a clear and sharp display of information. You will pre-made 150 demo pages to choose from. 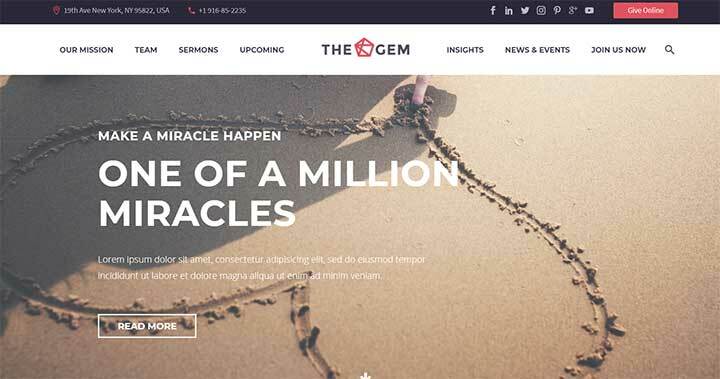 If you want to give an incredible style and design to your political website, then go for TheGem WordPress theme. This political WordPress theme is for activist and politicians who are looking for a professional website. Without any effort, you can easily create campaign, posts, polls and news updates. You can also collect donations without any trouble. 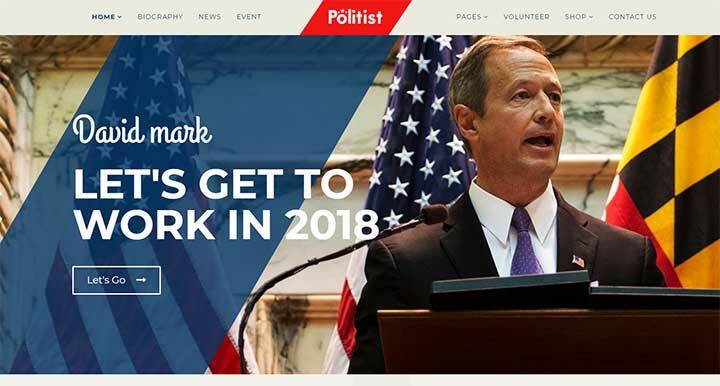 Politist WordPress theme will give you three homepage variations where you can add your biography, political timeline, photo gallery, and video story. The Politist theme gives you a countdown option where you can set time for another campaign. You will get different header and footer variations; it is also WooCommerece ready by which you can sell products related to your political campaign. The admin panel of this theme is very easy to use; you can easily change the typography of your website. Nominee WordPress election theme is wholly dedicated to political leaders and candidates. This theme can be used by any political leader, public figure, profit or non-profit organization. The Nominee WordPress theme is flexible for any social issue and political leader. You can create different events and different forums through which you can reduce the communication gap. You can also create beautiful blog page where you can showcase all your political work and party achievements. 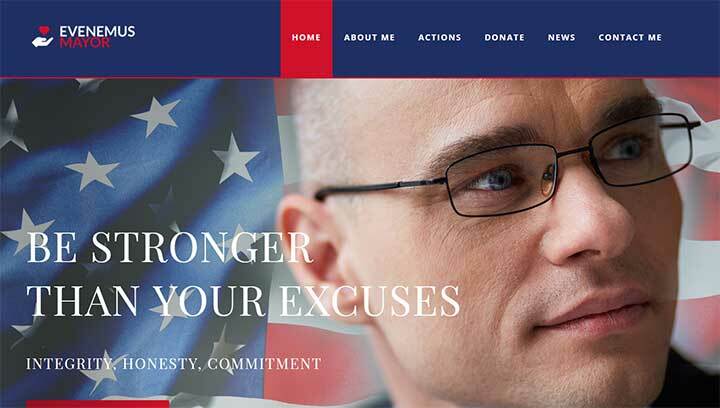 This campaign website theme gives an option to create a dedicated page where you can create an issue and interact with the public about that issue. There are different core features of this theme such as alert message, social links, parallax background, video gallery and many more. 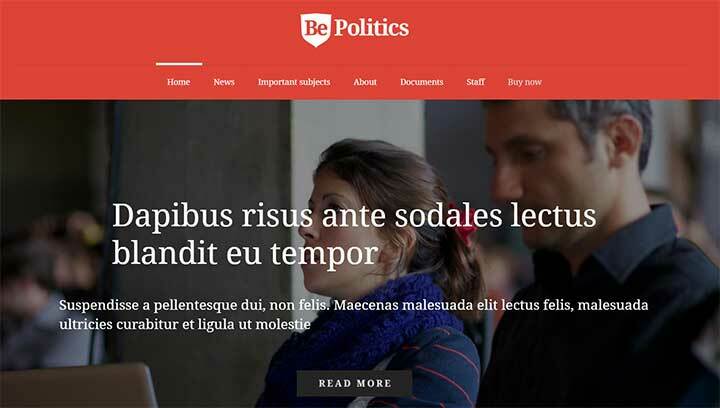 BeTheme is one of the most popular and multipurpose WordPress themes by which you can create a powerful political website. You will get a unique layout which will display all the information about the political leader and political party. You will get a different header option for both mobile and desktop display options. If you run a political party, then you need to update information very frequently. BeTheme comes with core features such as one-click installation, powerful admin panel, built-in mega menus, unlimited sidebars, unlimited google maps style, and custom widgets. If you are looking for a business trade website, then this theme has preloaded eCommerce websites. BeTheme is compatible with different plugins such as MailChimp, Contact form 7, Yoast, W3 Total Cache, BuddyPress and many more. It is a powerful, flexible and multipurpose WordPress political theme which can be used for creating a political based website. This theme can be used for creating non-profit, church, education, business, political organization, and activist websites. This theme is super fast and lightweight which gives high performance. With the friendly SEO codes alone theme guarantees higher google ranking. It is fully responsive because of which clear and crisp information can be displayed over any device. 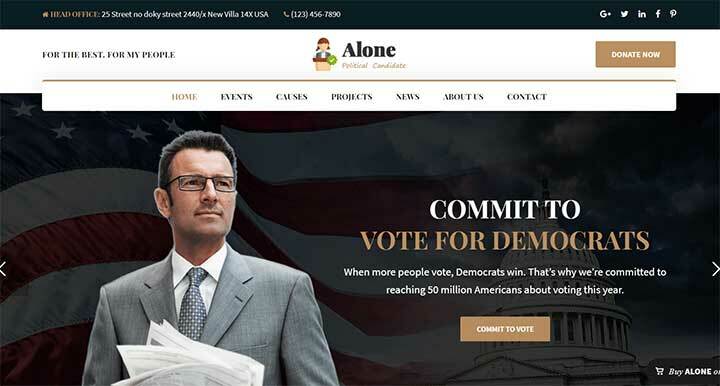 Alone WordPress theme is WooCommerece ready by which you can sell your political campaign products very quickly. It has fast donation popup by which anyone can donate within minutes. Politica WordPress theme is the most compact and user-friendly theme for political organization. This theme comes with different features which are built by professionals. It has visual composer with drop and drag plugin. You can build a dedicated page regarding candidate information. You can create an event page where you can display all the information related to running and upcoming events. You will also get multiple testimonial options. 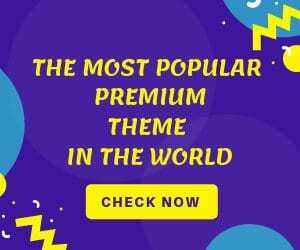 This political WordPress theme is very easy to use even if you are not aware of website development then also you can install and manage your website just by few clicks. This theme comes with inbuilt google maps and donation plugins. If you are looking for the complete customizable political website, then Jupiter WordPress theme will act like magic. Unlike any other theme, Jupiter WordPress theme is completely flexible. For any political website, you need clear and pixel perfect design to display all the content. Jupiter WordPress theme comes with the world’s best visual page builder which gives you pixel-perfect design. 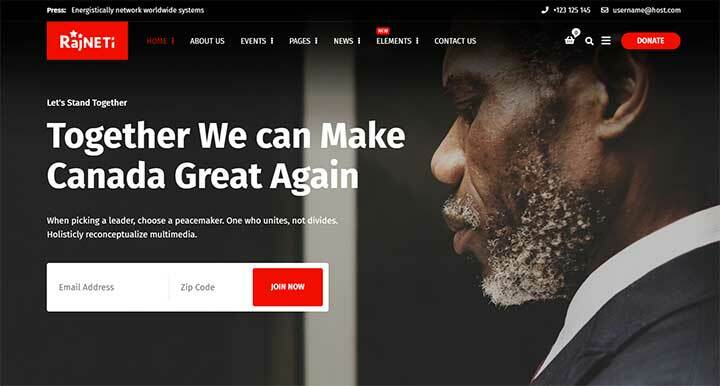 For any effective political website, you need a forum page, community section, and unique blog section, having all these features will reduce the communication gap between political leader and the public. To display individual information of political leader you will get billions of portfolio styles with real-time preview. If you are not aware of coding and website development then also you can easily install and manage Jupiter theme. Candidate WordPress theme is a unique theme which is suitable for political organization, profit & a non-profit organization, and education. 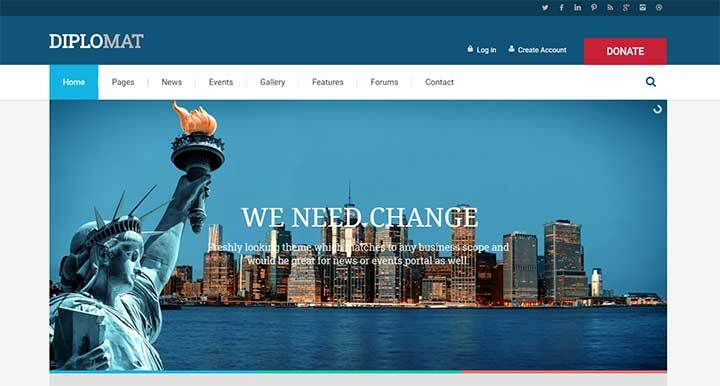 This political WordPress theme has unlimited layouts and color scheme which include crowdfunding system. For any political website, it is must to have a dedicated calendar system. In this theme, header elements have events and calendar system. For any political party, funds are essential, and Candidate WordPress theme has WooCommerce crowdfunding system. This campaign website theme is responsive-ready by which it makes your website display very convenient. This theme also allows you to create a complex forum by which you can easily interact with the public. If you are not having any knowledge of coding and website development then also you can easily create and manage your website. FrontRunner WordPress theme is for every political party, candidate, organization, group, and campaign.this theme makes customization very easy, you can design your website very easily according to the nature of your political party. To run any political party, organization or non-profit organization you need funding from time to time. FrontRunner WordPress political theme has a Quick donate feature which donates hassle free. This theme will give you core features like video player where you can showcase your video over YouTube, you will also get the social linking feature, for error pages you can display something funny according to your political party or campaign. 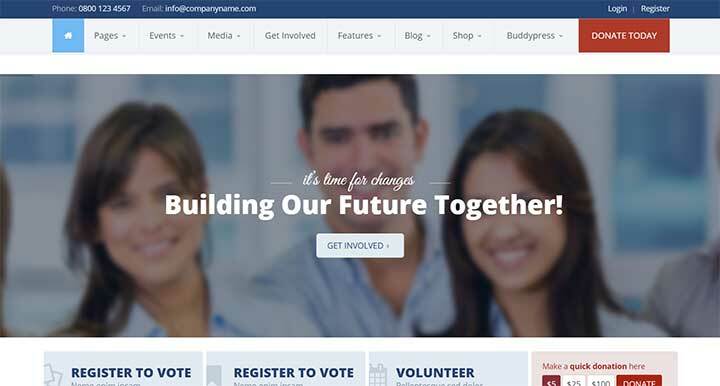 From the makers of Candidate WordPress theme, Campaign is the most powerful and popular theme among political leaders and political parties. This theme is all in one solution for your political party and campaign. It is very easy to install by which you can jump into your campaign within seconds. With the solid framework, this theme comes with a powerful admin panel. 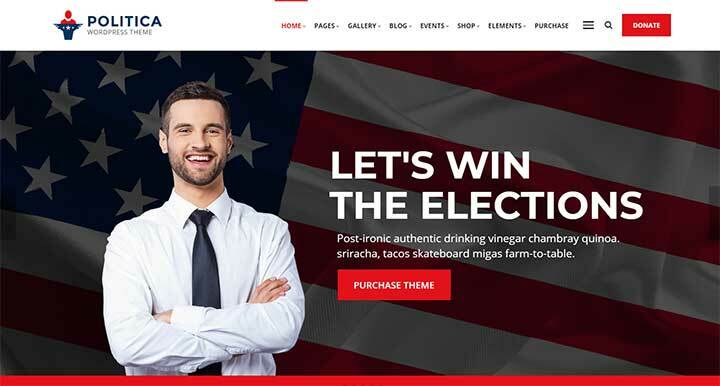 This theme is WooCommerce ready by which you can sell your campaign and political party products. The core feature of this theme is seamless donations ready, by which you can easily manage your donations even repeating donations. By using the newsletter feature, you can get unlimited subscribers. 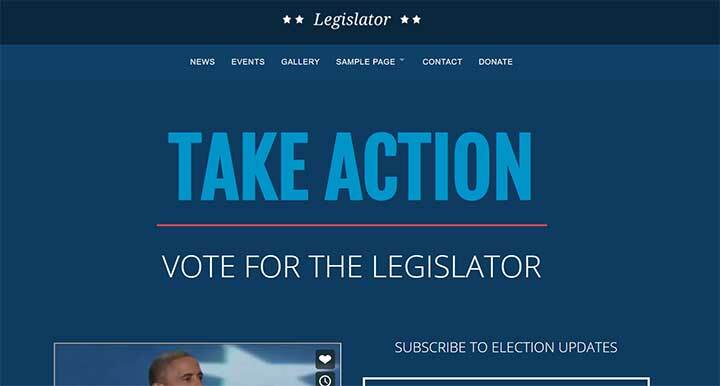 If you are looking for a new age of the political website, then Legislator WordPress theme is for you. This theme helps you to display your campaign content in an elegant and bold way. By using this political WordPress theme, you can easily interact with public and other organization. It has responsive design by which you can increase your audience on a mobile device. You can collect donations seamlessly, add events regarding your political campaign, create forum and polls where you can interact with your audience very easily. If you no knowledge about website development then also you can easily create your website. It is a premium WordPress theme which can be used for building candidate websites and political party website. Diplomat WordPress theme has five different types of layouts which can be used for sharing posts and news. The page sliders of Diplomat WordPress theme are flexible by which you will get excellent user experience. The bold and clean design of this theme will display all the information regarding your political campaign very effectively. 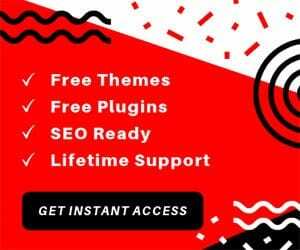 For proper interaction with your audience, you need news subscription and email subscription option; Diplomat WordPress theme gives you unlimited subscription option. For any good political website, you need to showcase all the information seamlessly; that’s why the blog feature of Diplomat theme has different layouts and colour options to showcase your blogs. Any Other WordPress Political Theme? For effective political reputation, you need a political website which can showcase all your information. 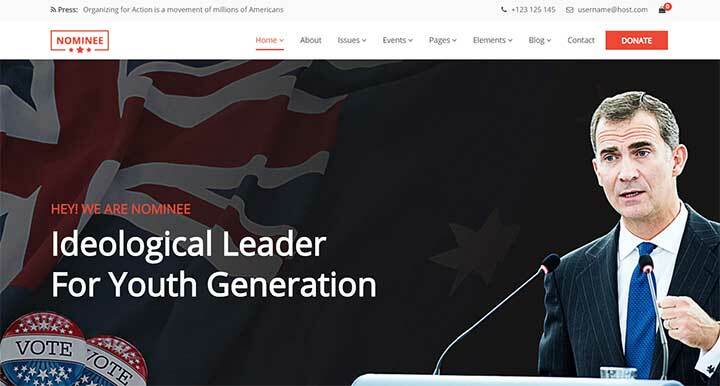 Above we have mentioned some top political WordPress themes which can help in creating your political website for election campaigns and politicians. We hope this article helped you in deciding the best theme for yourself. If you are using any other theme, please let us know your suggestions in the comment section below!